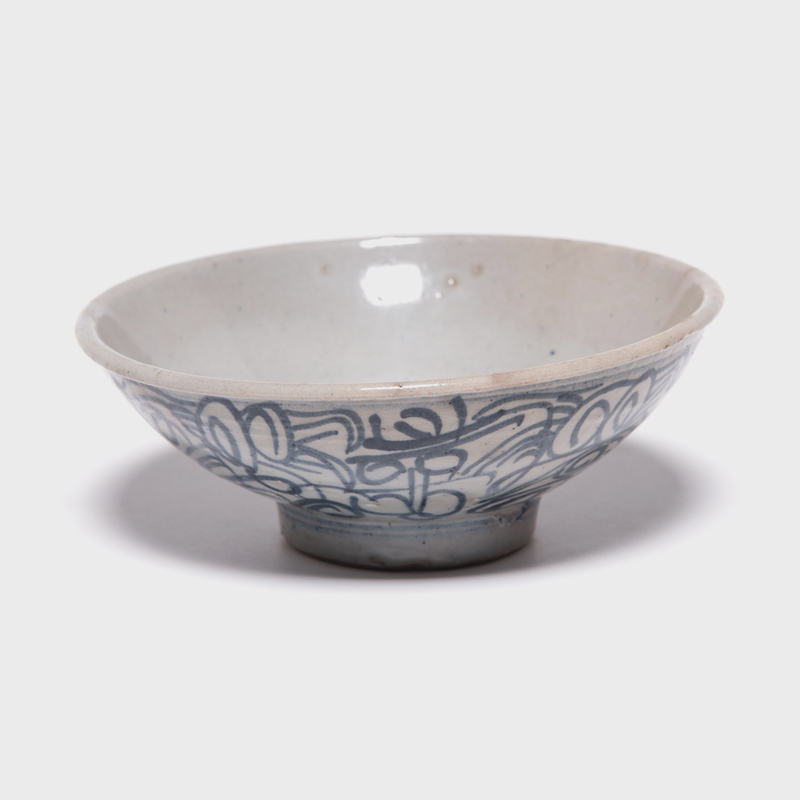 W: 30.0" D: 68.0" H: 0.5"
One of the most remote locations in Asia, the area now known as East Turkestan was a pivotal stop along the Silk Road, uniting the cultures of India, Persia, and China. 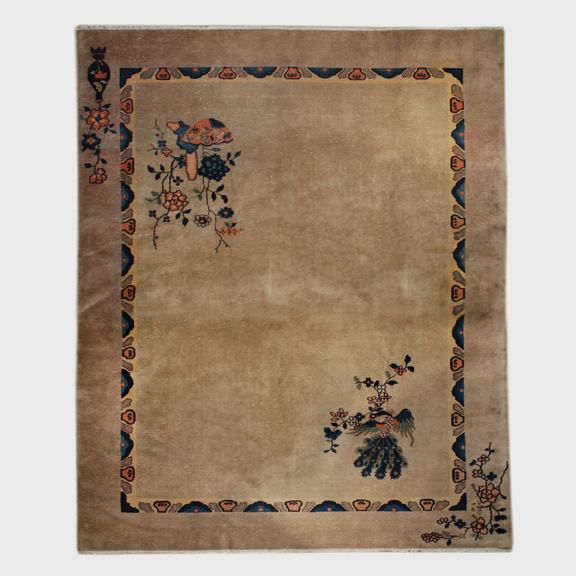 This rich multicultural mix is reflected in the exquisite carpets created in the oasis towns of the Khotan region. 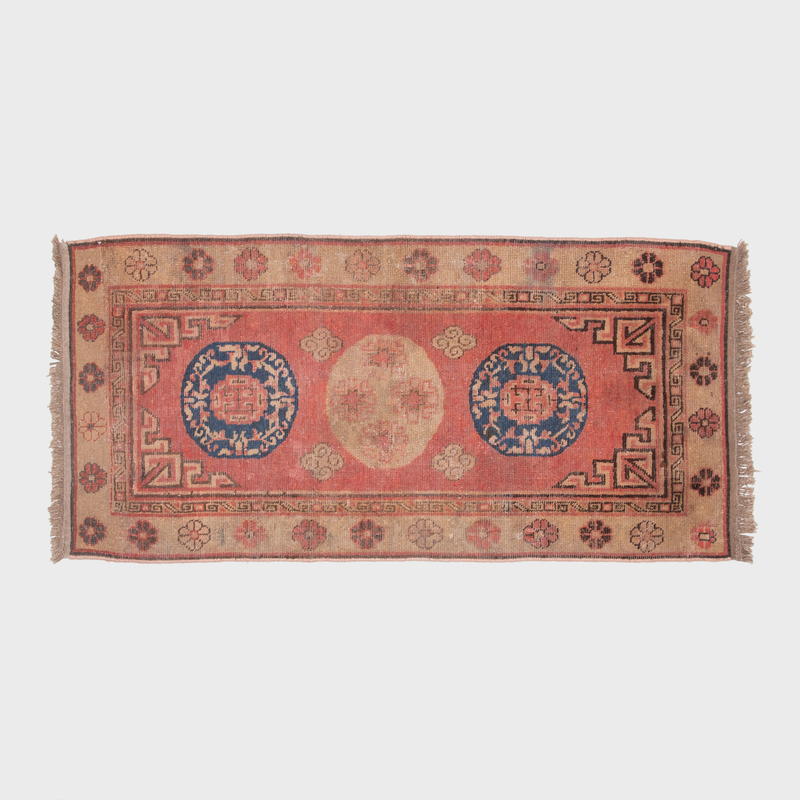 Crafted of hand-knotted wool, this vintage rug from the 1920s is adorned with classic moon medallions. Known as “ay gul,” this motif recalls the three lotus seats on which Buddha and two bodhisattvas are represented in temple art. 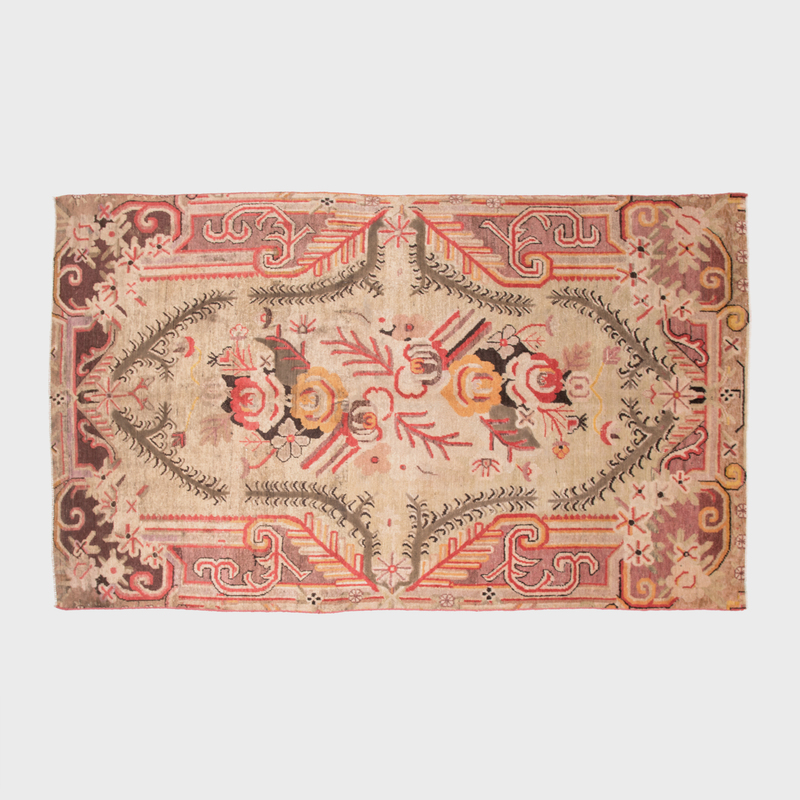 The cloud-like shapes in the center of the carpet along with the geometric motif in the corners show the simultaneous influence of Chinese symbols and Persian patterns. 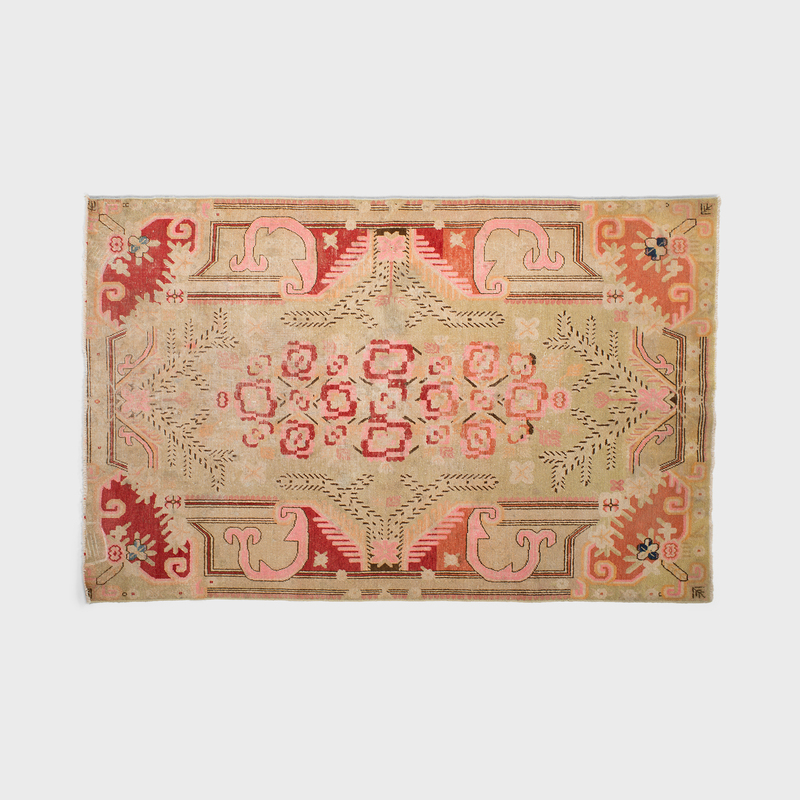 This traditionally-styled floor covering brings a bit of the Silk Road to classic and contemporary homes.